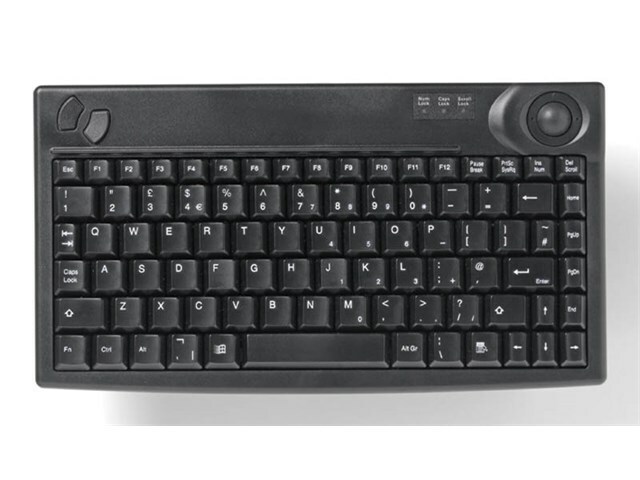 The Compact Keyboard with Roller is a great option when space is an issue. It is a laptop sized keyboard with integrated mouse access. Instead of a mouse, a rollerball has been cleverly included in this design. Because of the integrated access via a mouse alternative, it reduces trailing wires too. Comes with USB connector for easy set-up.